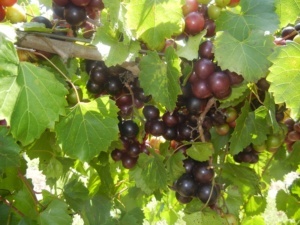 If you have room for one more plant in your vineyard I would recommend planting the African Queen. It is one of our releases that works well for the home gardner. It is a female variety that ripens mid season, a vigorous grower, as well as a consistent producer. At the time of its release it was one of our most popular varieties but after the introductions of Black Beauty and Supreme, the variety lost some of its popularity. It is now being discovered all over again. It will be a great addition to your vineyard.